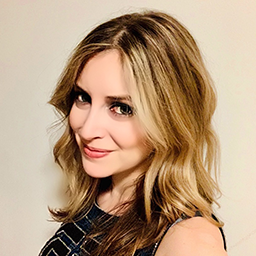 Heather Federman is the Director of Enterprise Information Management & Privacy (EIM/P) at Macy’s Inc., where she is responsible for EIM/P’s Policies, Programs, Communications & Training. Prior to Macy’s, Federman was a Senior Privacy Manager at American Express Co., where she focused on AMEX’s Global Brand, Marketing & Digital Partnerships. She previously served as a Legal & Policy Fellow for the Future of Privacy Forum (FPF) and as the Public Policy Director for the Online Trust Alliance (OTA), where she worked with companies, regulators and advocates to further FPF’s mission in advancing responsible data practices and OTA’s mission in establishing trust in the online ecosystem. Federman received her B.A. from the Gallatin School of Individualized Study at New York University and her J.D. with a concentration in Information Law from Brooklyn Law School. She also participated in the Brooklyn Law Incubator Policy (BLIP) Clinic, where she advised early-stage technology and social media companies on privacy related matters. Federman is a Certified Information Privacy Professional (CIPP/US) and is admitted to practice in New Jersey and New York. Heather is passionate about privacy and recently created a multi-media art project called Clues in the Cloud, which explores different aspects of privacy in the digital age. She enjoys working with like-minded organizations and people to produce deep insights and bring rationality to the nexus of data, technology, business and law.